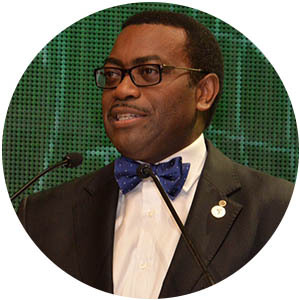 Adesina assumed his position as eighth president of the African Development Bank in September 2015. Previously, he was Nigeria’s minister of agriculture and rural development. Before that, he was vice president of policy and partnerships of the Alliance for a Green Revolution in Africa. He also served as associate director of food security at the Rockefeller Foundation. Flanagan co-founded Atria Africa in 2012. The firm manages Africa-focused funds and arranges transactions for individuals and corporations from offices in Zimbabwe and Mauritius. Flanagan began his career with Fleming Asset Management Zimbabwe and oversaw the reemergence of a vibrant corporate bond market in Zimbabwe. Attacq is a South Africa–based investment firm focused on real estate projects. The company plans to develop Waterfall Business Estate in Johannesburg, including the Mall of Africa. 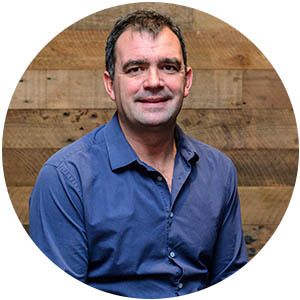 Prior to joining Attacq in 2013, Hamman was chief risk officer at WesBank, a division of FirstRand Bank. El Kettani was named chairman and CEO of Attijariwafa Bank, the leading bank in Morocco, in 2007. He oversaw its international expansion, which has given it a presence in 23 countries, including 13 in Africa. The bank has the largest branch network in Africa, with 3,331 branches. Correia has been CEO of Banco Único, one of Mozambique’s fastest-growing banks, since 2010. Previously, he was vice president of the bank. 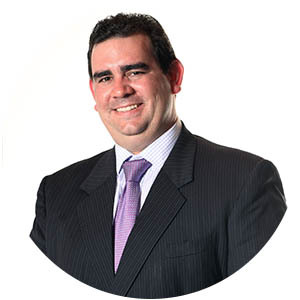 Correia has nearly 20 years of experience in Mozambique’s financial sector. In 2014, South Africa’s Nedbank acquired a 37% stake in Banco Único. 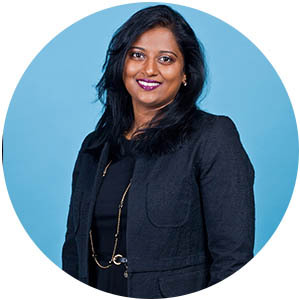 Dajee has led Barclays Bank Mauritius since 2007. 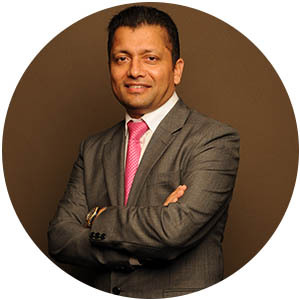 Previously, he served as a corporate director of Barclays, a general manager of the Central Electricity Board of Mauritius & the State Trading Corporation of Mauritius. Dajee chaired the Mauritius Bankers Association in 2010 and 2011. He has also chaired the National Lottery Charity Fund. Dajee graduated from the Said Business School at the University of Oxford and holds a master’s in finance from the University of Leicester. Barloworld Equipment, based in Gauteng, South Africa, is the Caterpillar earthmoving equipment dealer in 11 countries in Southern Africa. Gounden joined Barloworld Equipment in March 2014. Previously, she was chief operating officer for East and Central Africa at professional services firm Deloitte, where she qualified as a chartered accountant. 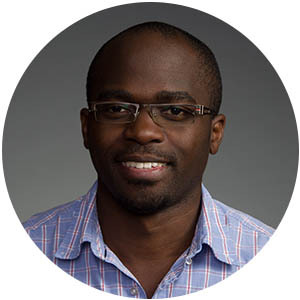 Kyohere is a Ugandan engineer and CEO of Beyonic, a Cloud-based platform that lets businesses in emerging markets use mobile networks for payments. He has led SaaS (software as a service) and mobile-technology expansion efforts for the Grameen Foundation in South America and Africa, a global nonprofit that helps the world’s poorest people. Kyohere has a master’s degree in technology commercialization from the McCombs School of Business at the University of Texas in Austin. 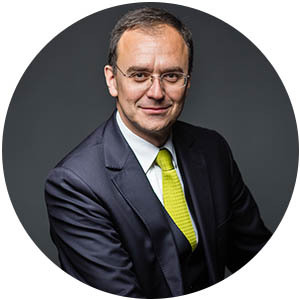 Dupuch was named chairman and CEO of BMCI BNP Paribas, based in Morocco, in 2013. 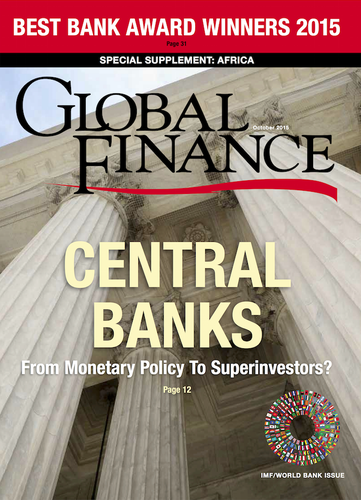 Prior to that appointment, he was chief executive officer of BNP Paribas El Djazair in Algeria. Dupuch began his career at Bank BNP Lippo Indonesia in 1993. While there, he initiated export and project financing deals. 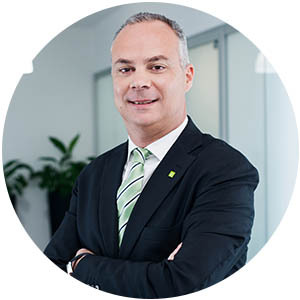 He also has served in BNP Paribas’ international retail banking division as head of Near and Middle East. He later served as head of Eastern Europe for the bank.